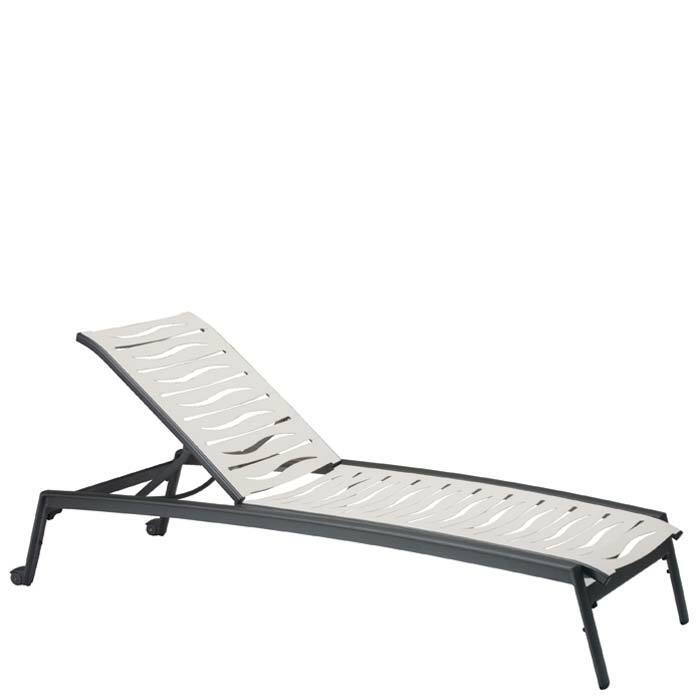 This Armless Elance EZ SPAN™ Chaise Lounge with a distinctive wave segment across the seat and back will enhance any poolside. Featuring a scratch-resistant, powder-coated aluminum frame, the Armless Elance EZ SPAN™ Chaise Lounge creates an outdoor sanctuary of solace and comfort. The additional wheels allow the chaise lounge to easily roll to new vistas.